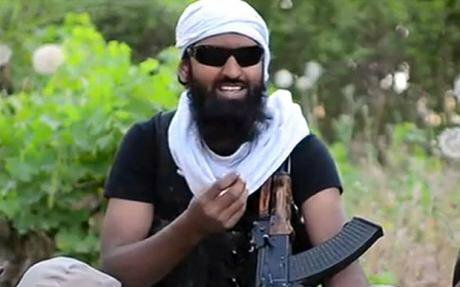 British government air strikes killed three IS combatants. It only appears to have tried to justify two of these deaths. Two days ago, I had a phone conversation with a journalist at a local Scottish paper. She wanted some general background for a piece she was writing on Raqib Ruhul Amin, the Aberdeen-born IS recruit who, we now learn, was, killed by an RAF Reaper drone on 21st of August. In the relatively short space of time between the phone call I got from the University media office (I work at the University of St Andrews, partly on jihadi-salafism) and the interview with the journalist, I thought about what she might want to know. It interested me that we were going to be talking specifically about this man, because – based on my scan of the news that morning – there seemed to be an odd silence about him. We know that the attack that killed him was specifically targeting Reyaad Khan, a jihadist from Cardiff; and that a previous attack had also killed Junaid Hussain, another British IS member. But unlike these two, news reports had been oddly silent about why Ruhul Amin had been killed. The silence, it occurred to me, was telling, and I still think so. Most likely, since he apparently wasn’t the actual target of the strike, Raqib Ruhul Amin was killed collaterally, simply because he happened to be travelling in the same vehicle as the actual target. But we haven’t actually been told this in so many words. Instead, the government has noted that there were ‘no civilian casualties’. The newspapers have been eerily silent on Raqib’s killing. Even pieces in the BBC and the Guardian specifically probing the legitimacy of the drone strike have avoided mention of his fate, focusing instead on the decisions to target his fellow jihadists Reyaad Khan and Junaid Hussain. It is quite right that we ought to scrutinise the government’s legal and political reasoning in actively deciding to extra-judicially kill two British citizens. But why aren’t we also interested in the third man whose death apparently wasn’t even dignified with being the outcome of a cabinet-consulted decision backed by government legal counsel? I would suppose that the fact that the British government had already committed to bombing IS militants causes us to assume that this particular line has already been crossed, at least where the killing of a British citizen is not the specific intent of a strike. But has it? The mere fact that one serves in a combat role for a paramilitary group does not mean that one is a legitimate target all the time. (And, incidentally, most foreign recruits to IS – though not the three in question - are thought to serve in civilian rather than front line combat roles). When our own soldiers are attacked off the battlefield (when they count as, as we would put it, ‘non-combatants’), we call the people that attack them terrorists. When Hezbollah blew up the Marine Barracks in Beirut, it counted as terrorism presumably because the marines were in their barracks, as opposed to being actually engaged in a gunfight with the Shiite militia. When Al Qaeda blew up the USS Cole the fact that Al Qaeda believed they were at war with an occupying military was completely irrelevant. Messy as the reality may be, from the perspective of the laws and norms of war, there is a great deal of difference between bombing, say, a convoy of IS technicals en route to Kobane and killing a single IS fighter driving to the other side of town to pick up a pizza. In short, the mere fact of their being IS does not make it legitimate for the British government to kill its own citizens. And if the British government doesn’t have a case for killing someone, and then it does kill them, then even if it does so by accident, it still has, at least, some explaining to do. When I got onto the phone, though, I wasn’t asked any of this, but instead the standard question about what could possibly motivate a young man to join a group like IS. The journalist admitted that she hadn’t really thought about the angle that a local boy had just been killed by his own government without any explanation as to why. ‘Good riddance’ had been the general feeling, she rather sheepishly admitted. This was in spite of the fact that the newspaper had been reporting on this sensational local story for some time now – since the earlier sensation when Raqib Ruhul Amin had appeared in a video alongside two of his now deceased co-nationals extolling the virtues of IS and issuing swaggering threats to their country of birth. Indeed, she had only quite recently spoken to Raqib’s family. She had struggled, so she told me, to understand their sadness on learning of their son’s death, given that he was a terrorist. Our government has killed a British citizen without dignifying its action with any explanation as to why it did so. We are apparently supposed to assume that the killing of any IS fighter, targeted or no, British citizen notwithstanding, is basically ‘good riddance’. If we won’t challenge the idea that some citizens can be killed in distant countries, no questions asked, how long before we meet with it much closer to home?